Its our May giveaway! We are super excited to have up teamed up with Antidote Street this month for our biggest giveaway to date! So everyone has been raving about Shea Moisture and you want to know what everyone is talking about? 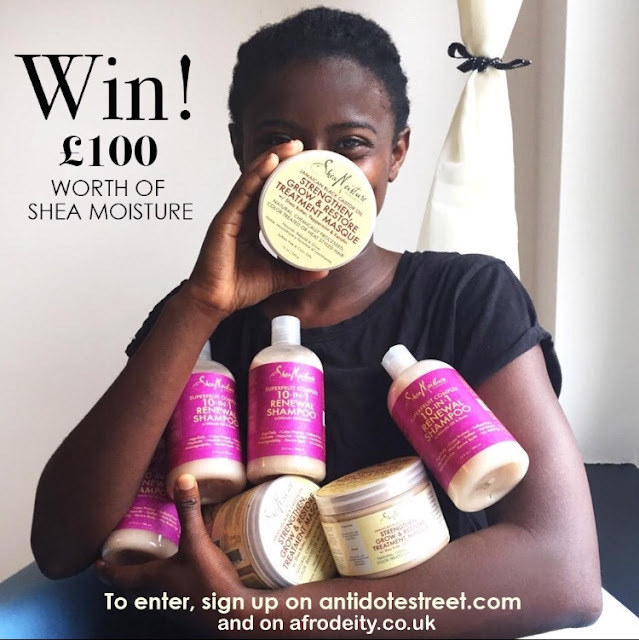 Well here is your chance, £100 of Shea Moisture Products are up for grabs!! 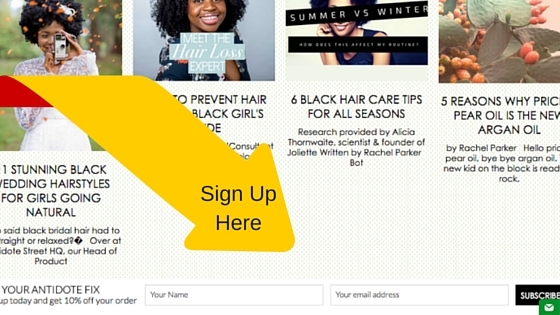 Antidote Street is a brand new online destination for black hair and skin care products. They offer a curated selection of hair and grooming products to remedy those daily woes that they understand too well. Antidote Street was born out of the desire to revolutionise the access to black hair and skin care products in the UK. 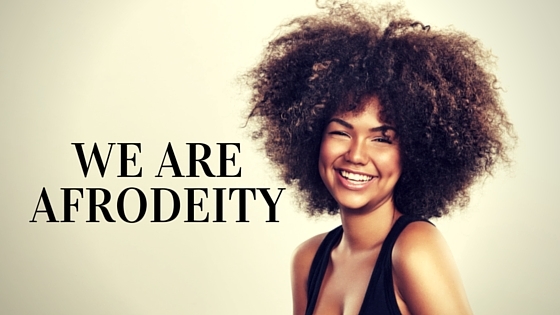 Like us at AfroDeity Antidote understand all too well travelling further a field to purchase your products or not being able to access a great product from the US here in the UK. 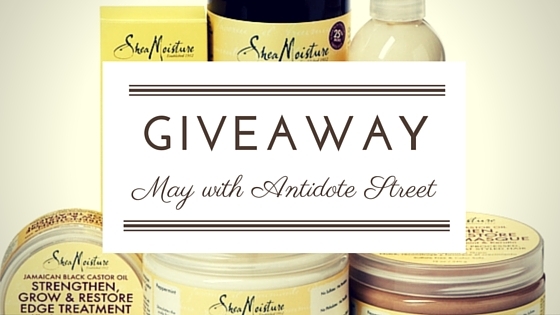 Antidote Street is giving away £100 of Shea Moisture products as pictured below. 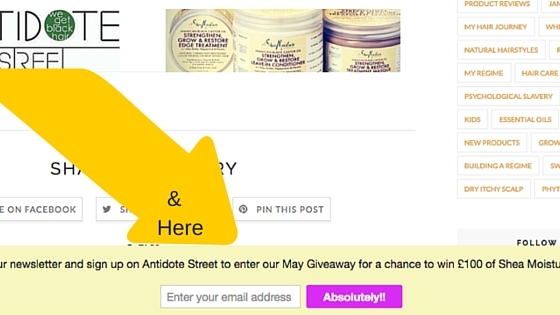 Just sign up to our newsletter by entering your email address in to the bar below, click the pink button, and make sure to sign up on Antidote Street too! and we'll enter you into our May giveaway. This is a giveaway not to be missed, enter today. Alternatively buy Shea Moisture on the Antidote Street site.